You might know Miller James a bit better as J. Miller from Bad Lucy or even as Gram Miller which was the first solo moniker he used amidst the break up of Bad Lucy. Do not be confused by the changing names for the guy with the golden throat that looks the same (I once asked him if he had a brother named Gram after seeing pictures online), he is one and the same. I was saddened by the loss of Bad Lucy, because I thought they really could get somewhere, but I always felt that this was the guy that was going to get them there. History lesson aside Miller James is back to recording music and his voice is as stunning as ever. Frankly, I’m just glad he’s back to recording to music and it’s my understanding this is the first of many songs to come. The song itself is a wonderfully emotional ballad filled with some fantastic guitar textures and a fairly minimalistic arrangement with sparing use of rhythm percussion–enough to add a touch of soul, but not to much to steal the show from that signature voice and guitar. It is as winsome as it slightly wistful, but ultimately, joyful in its delivery. The chorus is pretty catchy and it echoes many of Miller’s previous triumphant moments in sound. The video was shot entirely on a footbridge in Downtown Phoenix overlooking the I-10, either at dusk or dawn as the sky is right on the verge of a thunderstorm. 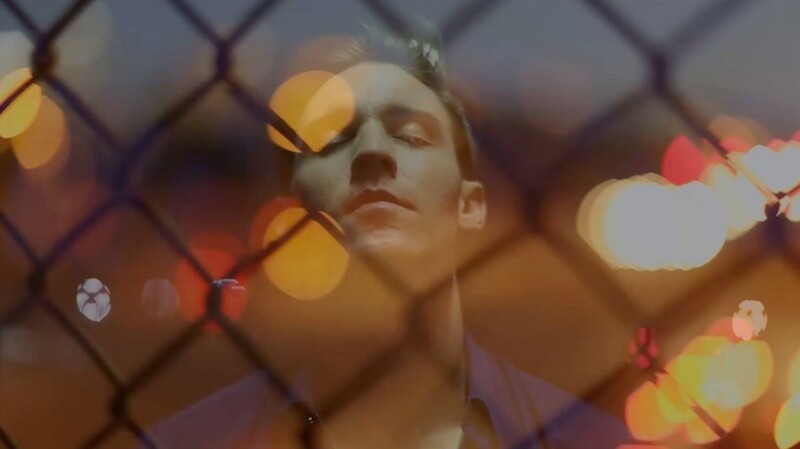 Shot and directed by Ryan Nicholson and Scott Bain, the lighting and camera work is pretty stunning and the presentation is a pretty clear declaration that Miller James is now a solo performer in no uncertain terms. Ryan Nicholson also shot the video for “Forward” by Bad Lucy and in total, they have worked on four videos together. The video and the single have been released today simultaneously. For the first week of release he will be donating 100% of all digital download funds to http://www.themusicisloveexchange.org/ to help support underprivileged children in communities across the globe. So in one day you get a beautiful new song from a talented songwriter that’s been hiding away for far to long, a brilliant video that’s been locally produced and a way to help a great organization through your love of music. I’m not sure it gets much better than that, honestly. Please, check out the video, click on the link to the buy the song and then play it over and over again in eager anticipation of what we will hear next from Miller James.